To say I was captivated by this book is an understatement. 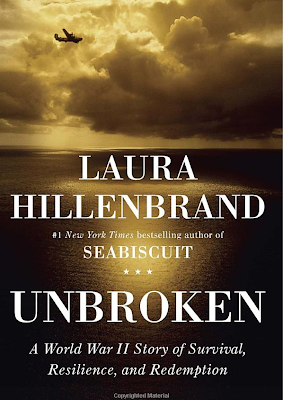 Hillenbrand's extensive research and interviews allowed her to bring the young Louie Zamperini to life. From his days as a childhood miscreant, to his focus and determination towards becoming an Olympic track star and breaking the 4-minute mile. Then to his fierce resolve to live, surviving a record number of days adrift when his B-24 crashes 2000 miles from land in the Pacific Ocean, only to be tortured and degraded by horrific, targeted acts performed by Japanese military guards at several POW camps. And, of course, Zamperini's ultimate, and admirable, ability to forgive his captors, years after the war ended, for all he was forced to endure and to regain his zeal for life he had before the war. First, this is a novel, not a non-fictional portrayal of events. 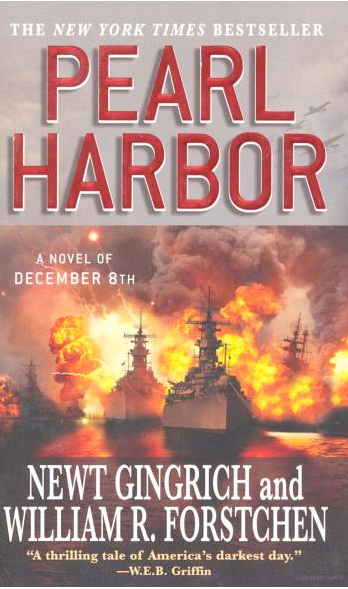 In fact, when I was finished, I was confused because I thought the authors had made a huge error in their depiction of the actual events that happened on December 7, 1941 because not only was Admiral Yamamoto leading the attack, and not Nagumo, but they included a third-wave of Japanese airplanes - targeting the main dry dock and oil storage tanks - and a follow-on attack by Japanese battleships the next day, which historically was not the case. All reliable sources say that a third bombing was dismissed by the attack's commanding officer due to having accomplished the goal of the mission and the risks presented by the unknown whereabouts of the three missing USN aircraft carriers that were supposed to be in port that day. After reading more about the book, this alteration of facts was intentional to present a "what if" scenario that is played out through the three book series. Oh, and the reference to December 8th in the title is "Japan-time." 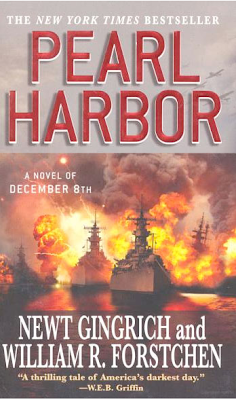 Regardless of these liberties taken by the authors, the book focuses on several main characters, including an American and a British officer who were WWI codebreakers, and two notable Japanese officers instrumental in devising and carrying out the attack on Pearl Harbor - Fuchida and Genda. The book takes the reader on a journey through events happening in China and Southeast Asia in the 1930s and early 40s and motivations of the Japanese leading up to the attack on the U.S. - using a lot of fictional dialog based on facts to tell the story. I found some points of interest throughout the narrative, such as the comparisons of European colonialism practices and American "manifest destiny" actions to the Japanese expansionism leading up to WWII, but ultimately was bored by the dialog itself -- skipping some of the text in parts, especially the repetition of facts told from other viewpoints. To be completely honest, I found the quality of writing to be sub-par compared to other bestselling fictional authors, and through reading reviews on Amazon, apparently the facts were not all checked either, both of which likely contributed to my lackluster opinion of this book. That being said, overall, this book provided an approachable way to expose myself to the complexity of that day in history, and it served as a starting point to expanding my knowledge of the subject, rather than as a primary source of information and fact. 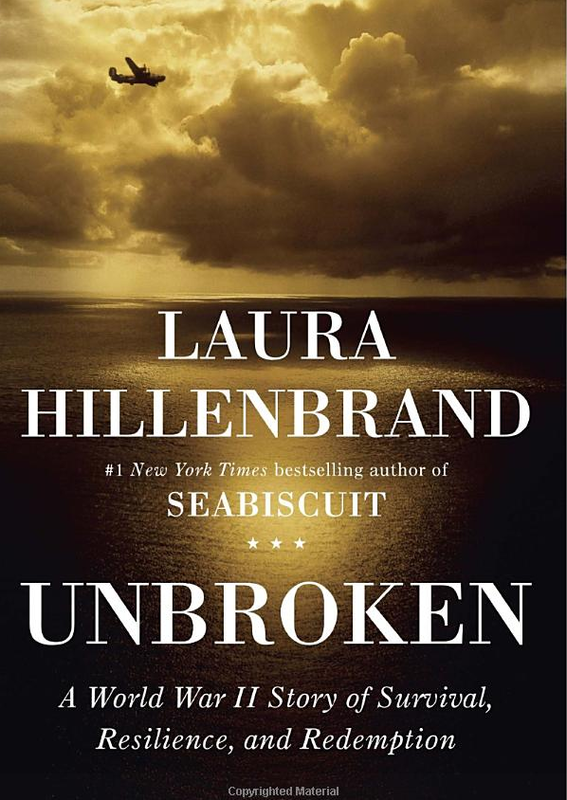 I have Unbroken on my list!